However, mild to moderate explosions sent smoke swirling up to 940 metres above the crater, while a lava flow measuring 1,200 metres continued. GUATEMALA CITY: The eruption of Guatemala's Fuego volcano ended Saturday, an official source said, with locals escaping a repeat of June's eruption that killed 190. "All of this activity is expected to disappear in the coming hours," said a bulletin from Guatemala's government agency for seismology (Insivumeh), without ruling out that it could pick up again in coming days. The latest eruption began in the early hours of Friday, with 62 people evacuated and a highway near the 3,763-metre volcano, 35 kilometres (22 miles) from Guatemala City, closed. 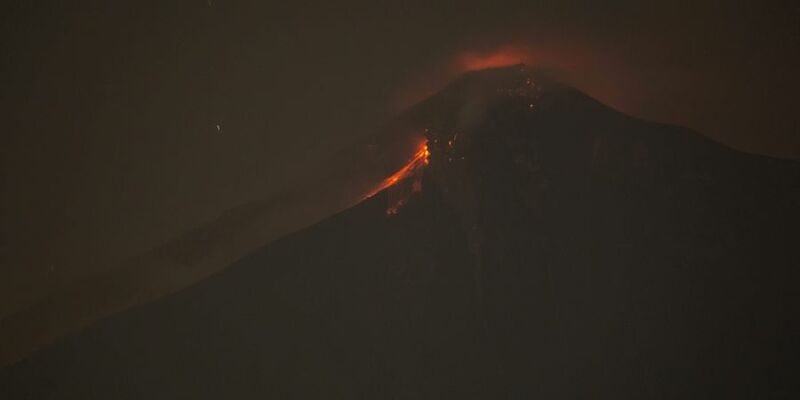 Guatemala's disaster management agency CONRED said two other volcanoes are also being monitored. The Pacaya volcano, located 20 kilometres south of the capital, and the Santiaguito volcano, 117 kilometres west of Guatemala City, have both showed increased activity. A powerful June 3 eruption of the Fuego volcano -- located 35 kilometres southwest of the capital -- rained rocks, ash and toxic gases on several villages and left 190 people dead and 235 missing.